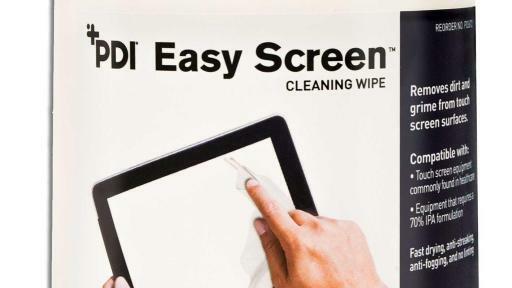 PDI, a leader in infection prevention products and solutions, announced the launch of its new EASY SCREEN™ CLEANING WIPE. 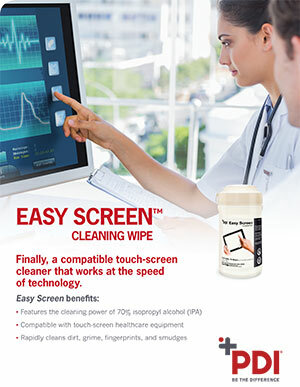 This new product addresses the increasing use of touchscreen equipment in healthcare and the need for compatible cleaning products. 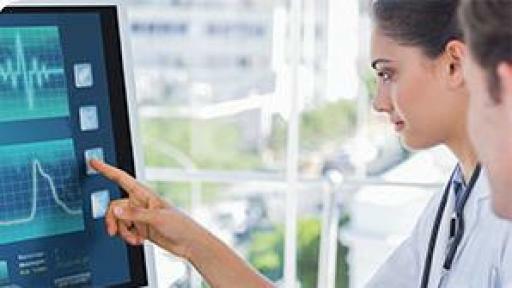 According to the Epocrates 2014 Mobile Trends Report, the presence of “digital omnivores,” a clinician regularly using digital devices including tablets, smartphones and computers, was 41 percent in 2014 and was predicted to increase to 74 percent in 2015. One of the biggest surges was expected to come from tablet usage, going from 45 percent in 2014 to 80 percent in 2015. 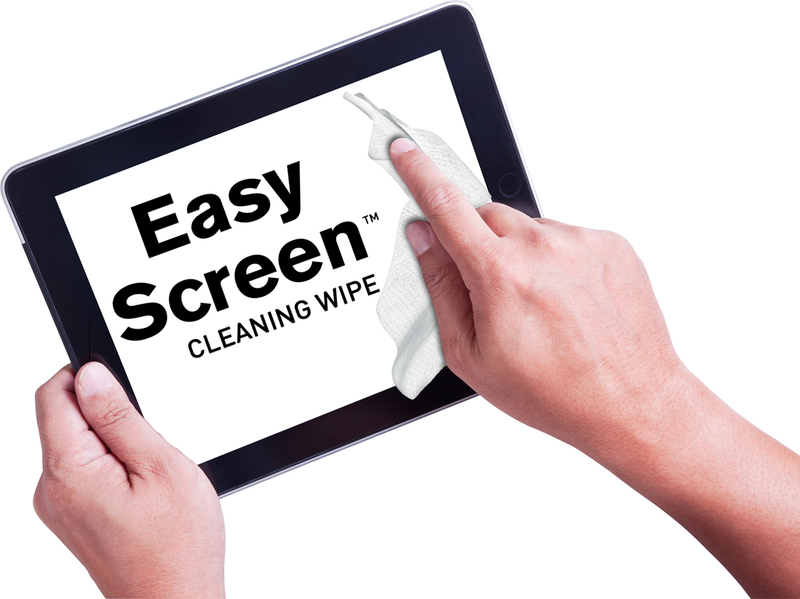 Withstanding the apparent increase in touchscreen device usage in healthcare, a June 2015 study in the American Journal of Infection Control stated that proper protocols are lacking to address sensitive surfaces like touchscreen devices. 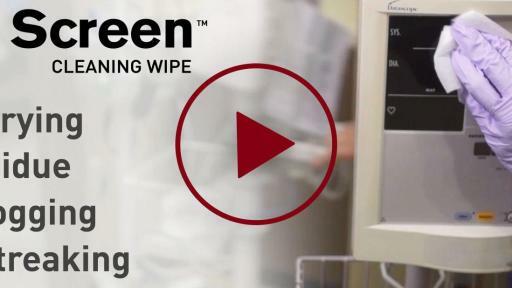 “Healthcare facilities are advancing everyday and it’s vital that we, as infection prevention leaders, are aware of the changes that are happening and able to adapt quickly. 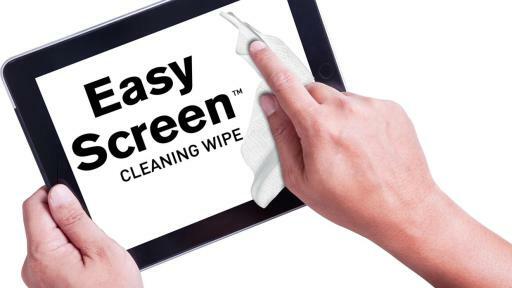 We created the EASY SCREEN™ CLEANING WIPE in response to the increasing usage of touchscreens and the need for a compatible product that wouldn’t damage the technology,” said PDI Senior Product Manager, Melanie Waddell. 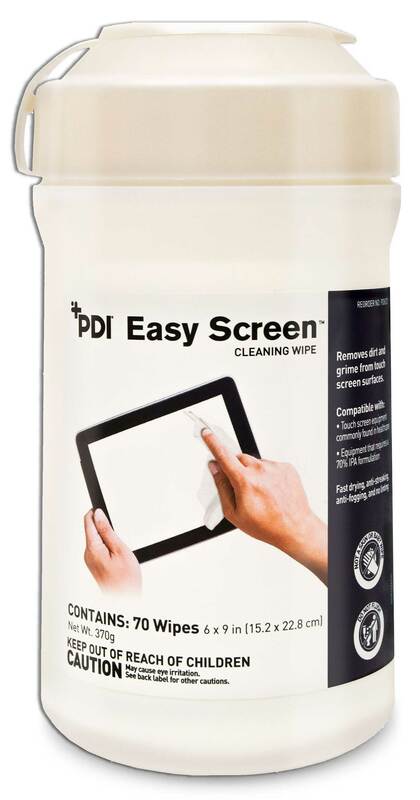 PDI helps reduce preventable infections, control healthcare costs and, ultimately, save lives by delivering a broad range of evidence-based, market leading environmental hygiene and patient care solutions in the community and healthcare environments. For more information, visit PDIHC.com.